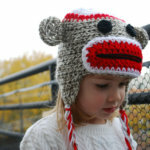 Now this is a giveaway that I wish I could enter to win for myself. Many of you already know Minted, the online store powered by a global design community. 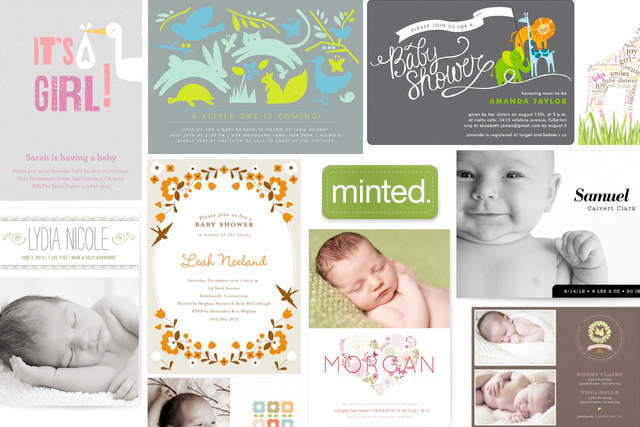 Well, Minted is graciously giving away your choice of either 25 flat Baby Shower Invitations plus free ground shipping or 25 flat Birth Announcements plus free ground shipping to one lucky MerrimentDesign.com reader. But Minted isn’t just about babies. Oh no. 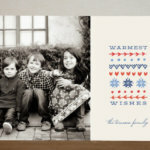 Minted features a unique and modern assortment of personalized photo cards, unique wedding invitations, holiday cards, birthday party invitations, and other personalized stationery and gifts, all designed by indie designers. To enter: See that little gray box below? Please log in the box below using Facebook, click the green “+1″ entry button and follow the instructions — I’m once again using a new service for this giveaway called Rafflecopter so lemme know what you think. And if you have any trouble just post a comment below and I can help – BUT be sure to use Rafflecopter to officially enter the contest. Good luck! 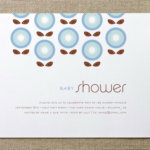 And you can visit Minted or Like Minted on Facebook to see more paper goodness.